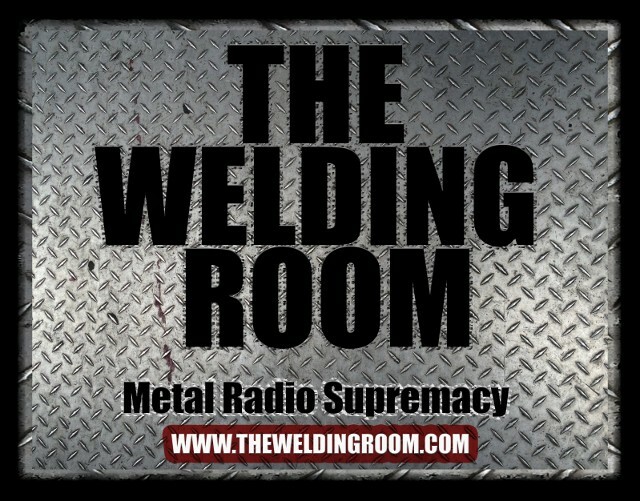 The Welding Room radio program made its on air debut sometime in 1994. Obviously, when it came to terrestrial radio, content & language were issue to behold, but since the program graduated from traditional airways to an internet/non-traditional exclusive medium, dirty words & such were no longer an issue… Although, it’s a rarity for Johnson himself to swear on-air. Anyhow, to celebrate Cinco de Mayo (not really. Purely coincidence), #TWRradio Family will officially remove the training wheels tonight! At long last, The Welding Room host Rik Johnson spoke with CLUTCH back-beatist, Jean Paul Gaster on Friday, May 17th at Electric Factory in (Cradle of) Philthadelphia. The interview is finally available! Click “Clutch” above or click here. Don’t forget to check out the CLUTCH Photo Gallery! X-COPS Sheriff Tubb Tucker, Live on The Welding Room! The Welding Room welcomes X-Cops‘ sheriff Tubb Tucker to the program on Tuesday, May 14th at 5:00pm ET. Plus, a special guest interview segment with bassist, Casey Orr! 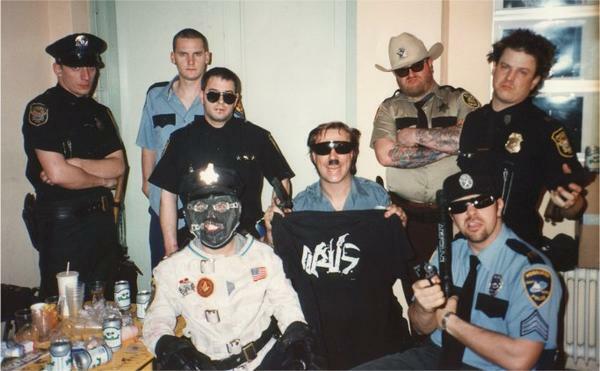 X-Cops will be reuniting for their first live performance since 1996 at the annual GWAR-B-Q on Saturday, August 17th in Richmond, Virginia. Seattle-based indie punk and garage rock record label Tsurumi Records release their first-ever soundtrack for the underground indie horror flick The Revenant to online and physical stores today. The Revenant marks the label’s first-ever release through their new digital distribution partner, French Kiss Label Group as well as the label’s first-ever soundtrack release. The physical release on CD is through their long-time partner, CPI Distribution, available through stores nationwide. “We are label focused on vinyl productions and this soundtrack is no different in that way,” enthuses label owner and Seattle resident Jeff Davis. “I’ve always been inspired by really good soundtracks, like Pulp Fiction and Clockwork Orange,” Davis adds. Three years ago Davis’ good friend and independent film maker Kerry Prior, approached him about collaborating on a soundtrack for The Revenant; a modern take on a classic horror story, which he wrote, directed and produced. The film focuses on Second Lieutenant Bart Gregory (David Anders), who is killed under mysterious circumstances in Iraq only to find out that he didn’t really die. Rather, he is undead: a zombie-vampire hybrid, known as the Revenant. Bart needs blood to hold back decomposition and he finds his way around his new state against the dark backdrop of downtown Los Angeles. The Revenant appears to be moving towards that cult status with a solid underground and online fan base that is growing daily. Every cult classic needs a killer soundtrack and now fans of The Revenant won’t have to wait any longer.